Downing Street's dependence on the 'narrow field' of Treasury communicators has been defended by sources who have suggested the department provides the most politically savvy candidates. PRWeek revealed last week that Treasury head of press Jean-Christophe Gray had been appointed as the Prime Minister’s official spokesman, replacing Steve Field in the civil service role. 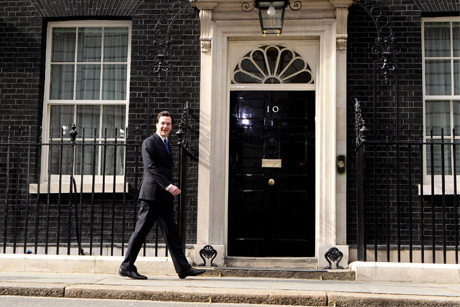 Gray is the latest Prime Minister’s spokesman to walk the well-trodden route from George Osborne’s department to Number 10, following Field and Michael Ellam. Cabinet Secretary Jeremy Heywood was also an ex- Treasury man. One frequently suggested reason is the idea that the ongoing financial crisis and trimming of Whitehall bud-gets means that economic issues are frequently at the forefront of wider policy debates handled by Downing Street. But Fleishman-Hillard associate director James Dowling, himself a former senior adviser at the Treasury, also suggested that Treasury employees ‘tended to take a more political approach to things’, alongside a willingness to ‘do their master’s bidding’ that was likely to make them desirable for Number 10. Industry observers spoken to by PRWeek added that one reason for Cameron sticking to the formula was the fact that recent ‘outsiders’ app-ointed to the role have struggled with the demands of the post. Vodafone’s ex-director of comms Simon Lewis, who was official spokesman under Brown, endured a difficult relationship with the lobby. Steve Morris, managing partner at Portland and former head of the strategic comms unit at Number 10, claimed the reason for the strong links between the units dates back to Brown’s tenure as PM. There have always been problems in the sense that prime ministers have lurched from having controversial spokesmen to non-controversial spokesmen. However, when it comes to the best person for the job, all that matters is that person has the trust of the PM, and that they understand him and his policies. Jean-Christophe Gray is a hugely respected figure in the Treasury and has always been seen as being on top of his brief. He has proved he can earn the respect of journalists and that is the key thing in the spokesman role. It’s a clever move to bring him in. The appointment of Jean-Christophe Gray as David Cameron’s official spokesman comes as Conservative HQ high-flyer Susie Squire replaces Gabby Bertin as the PM’s press secretary. Squire will take the role being vacated by the widely respected Bertin, who is leaving later this month to have a baby. The move follows a rapid rise for Squire, who takes on the job after just four months as the Tories’ head of press. Kirsty Walker, associate director at InHouse Communications and former Daily Mail political correspondent, praised Squire but also gave a warning to the PM. Walker said: ‘I believe the PM will miss Bertin, who was widely respected, but Squire is very good and should prove a worthy replacement. Squire cut her teeth as political director for the TaxPayers’ Alliance, before moving to become a special adviser for Work and Pensions Secretary Iain Duncan Smith, where she remained for two years before the move to the Tories’ head of press role.